April is a busy month: April Fool’s Day, Easter, Passover, Spring Break, Spring itself. 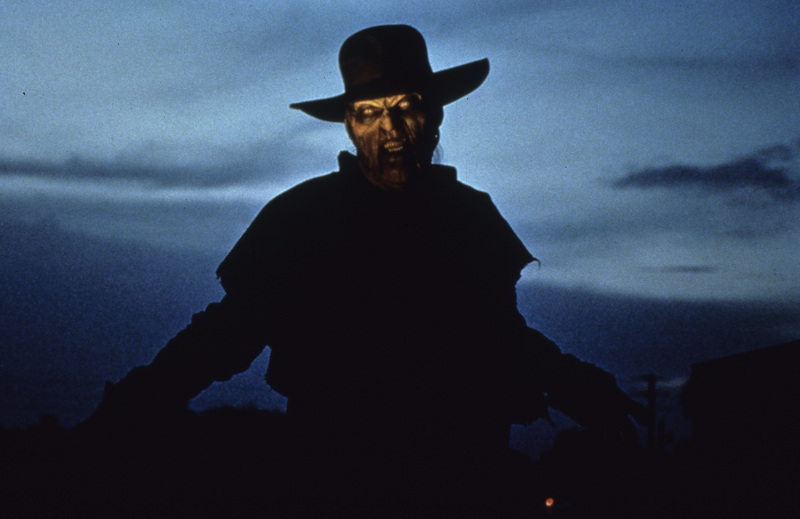 What better way to celebrate then with ten themed horror films? 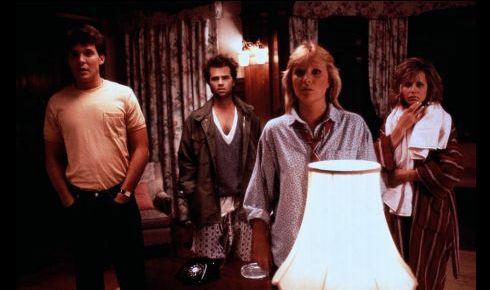 Start off your month with this 80’s slasher classic about a bunch of college kids on a remote island who get picked off one by one. The ending is especially awesome. 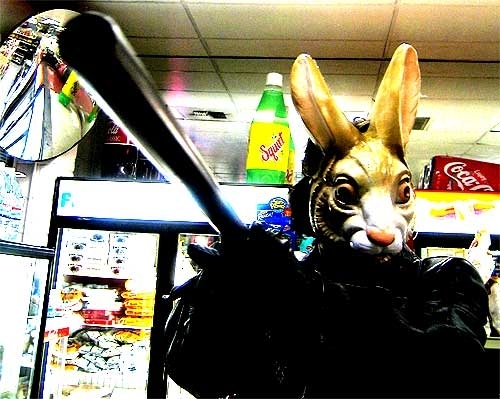 April has Easter and Easter is all about bunnies so if you’re into campy silly B-movies check out this one about giant mutant rabbits that attack the southwestern US. This is a lesser-known horror film about a homicidal man dressed as a giant bunny who goes after a young boy’s tormentors. Not an award winner but definitely Easter Bunny-themed. Atrocious is a film about siblings who, over Easter week, explore their vacation home and discover something really scary. Easter is a big deal in April but let’s not forget Passover! Celebrate the biblical plagues by watching this film about a small town suffering from them and investigated by Hilary Swank. Spring break is here for many of us and this is one of those horror movies that takes place over it. In this one a brother and sister drive home for break and encounter a terrifying organ-eating creature. Another fun time during Spring Break is Piranha 3D but this time it’s killer piranhas in Lake Victoria that wipes out a bunch of college kids. April is all about the real start of the showers and flowers that come with Spring and in this film, each Spring girls go missing from a town hiding lots of secrets. With Spring comes a rebirth in nature, including lots of beautiful green plants. In The Ruins those plants turn out to be the villain and a wonderfully crafted story makes you scared of something that was once harmless. Another film about nature gone bad, The Birds is one of Hitchcock’s classic horror films and no matter how old it gets, it’s always scary and always fun to watch. Night of the Lepus is awesome. M and I watched it a few years ago and concluded if the people just listened for the horrible disco-techno music, they would know the bunnies were coming to get them! Spring is here! Check out these 10 April-themed horror movies this month. Personally, I’ve found “The Ruins” (’08), “Jeepers Creepers” (’01), and “The Reaping” (’07) to be great. Maybe throw in some “Little Shop of Horrors” (’86) too…that alien, man-eating, soulful singing plant never gets old.